‘Beer of the Month’ is a regular series where our editors sample a unique craft beer. This month, our Guangzhou editorial team sampled Boxing Cat’s Contender Extra Pale Ale! While bolder flavors and new brewing techniques are being integrated into the world’s unofficial favorite beverage, some brews manage to balance the fine line between adventure and familiarity. 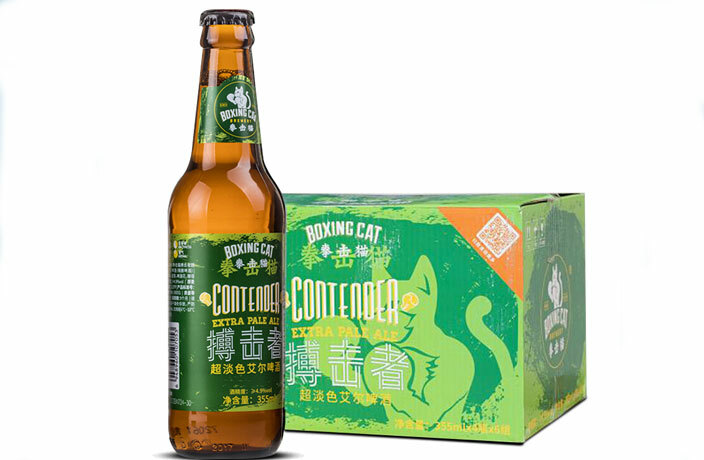 This month, we embraced the lightly-hopped Contender Extra Pale Ale, an award-winning beer by Boxing Cat Brewery, which was founded in Shanghai back in 2008. Contender Extra Pale Ale, a bronze medal winner of the 2013 International Beer Competition, is brewed using mosaic hops, which provide the smooth and sessionable beer with citrusy, pineapple-like notes accompanied by a mildly-hoppy aftertaste. Well balanced, this sud is also the perfect companion for a range of meaty meals, including meat pie, meatballs or a thick, greasy burger. Sitting at or above 4.9 percent alcohol by volume, this beer is enjoyable not just for the avid craft beer drinker but also for someone relatively new to small-batch brews. We first sampled the Contender Extra Pale Ale last month at our favorite local watering hole, where a wicked happy hour deal was underway: two bottles of the award-winning beverage for the price of one, RMB50 (prices will undoubtedly vary, depending on where you might find yourself on any given night). Other pub patrons were also partaking in the deal, and by all accounts the bevvy is a hit! Contender Extra Pale Ale can be found in select pubs and bottle shops in various cities around China, in addition to on Taobao.